Very soon, some major smartphone manufacturers are going to release new models of their flagship devices. 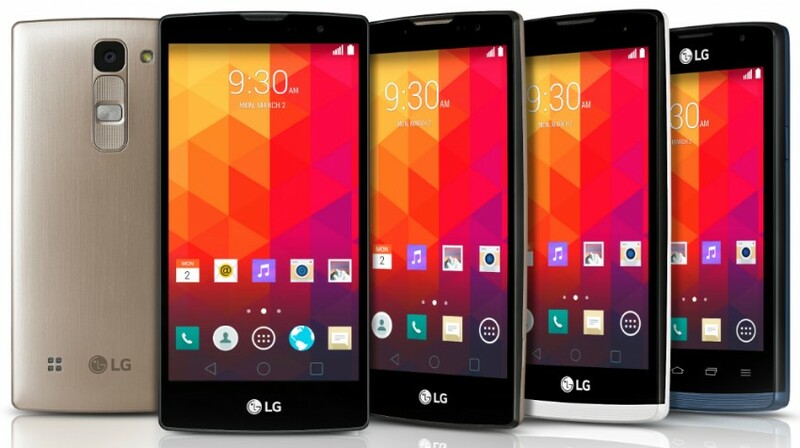 LG is getting a jump on them by announcing four new LG phones. And the company is hoping to attract customers with some mid-range price tags on those phones. The company says that the Magna, Spirit, Leon, and Joy smartphones will be officially unveiled at the upcoming Mobile World Congress conference. That’s where a few other companies are expected to make a splash with new devices. LG offers a sneak peak at its new LG phones ahead of MWC. While others go high-end, the company is banking on an audience with a restricted budget. These new LG phones range from the larger 5-inch Magna to a near low-end Joy, and its 4-inch display. In the middle are the 4.7-inch Spirit and a 4.5-inch Leon. LG has built the Magna and Spirit with its slightly curved design. The displays on the larger devices also feature a 3000 mm radius curve to the display. All four devices will be equipped with Android 5 Lollipop. The Joy could be loaded with Android 4.4 KitKat, too. And all of the phones will be available with either LTE or 3G connectivity. Each of the new LG phones will feature a removable battery. The battery’s capacity ranges with the size of the smartphone. LG says the 2,540 mAh battery on the Magna is designed to work all day, even with heavy use. The larger of the devices, the Magna and Spirit, will feature HD displays. And it’s apparent that LG is sacrificing some key specifications to keep its price lower on these offerings. The Magna, Spirit, and Leon will be stocked with either a 1.2- or 1.3GHZ quad-core processor. But each of the four phones is only stocked with 8GB of internal storage. The cameras on the new LG phones aren’t exactly showstoppers, either. So, if you’re looking for a smartphone to help your business become more social and share more photos, perhaps the Magna (and maybe the Spirit) is the only option to consider. Magna will feature an 8-megapixel rear-mounted camera And a 5-megapixel front-facing camera. The Spirit features the same rear camera but just a 1-megapixel front camera, which is likely to result in less-than-stellar selfies. Leon also comes with either the 8- or 5-megapixel rear camera. The Joy phone comes only with a 5-megapixel rear camera. Each of those phones only has a VGA front-facing camera. LG has given no indication on pricing of its new offerings. So, if the price is low enough, it may be easier to look past some of these slightly unremarkable specs.